Have you ever wanted to see all the Instagram pictures you have liked before? Or maybe you wanted to see a picture again that you know you liked recently? No problem, the Instagram app offers a simple way to see all of the images you have liked on the service. You’ll need a modern version of the Instagram app to have the ability to see the images you have chosen to like (or love, or heart), so update on your iPhone if need be. 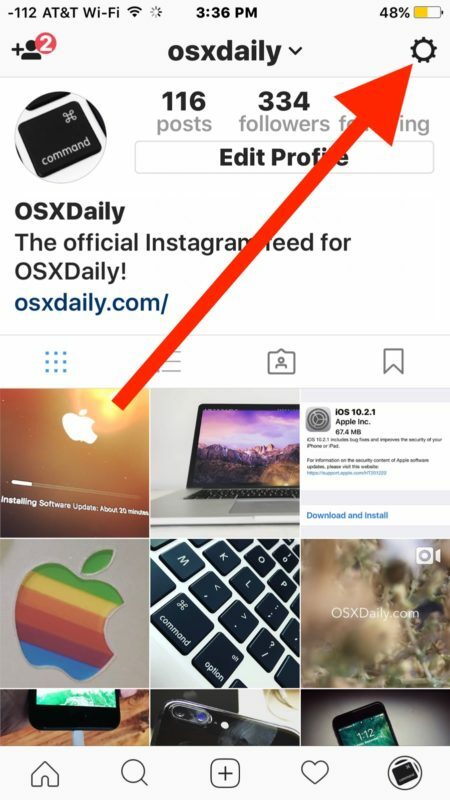 We’re focusing on the Instagram app for iPhone here, but this likely works the same on Instagram for Android too, and if you have Instagram on your iPad it will be the same. You can actually do this with any account that you’re logged into, so if you use multiple Instagram accounts you can check each of them individually. This is obviously useful so why it’s tucked into the Instagram settings is a little strange. You might think that tapping the big heart icon button in the main menu bar would show you what pictures you have liked on Instagram, but instead that shows you a feed of who likes and liked your photos and who you follow has liked. Perhaps a future version will change how this works. Since you can’t directly download photos, if you want to save any of the pictures from instagram you’ll have to rely on this trick which utilizes the cropping feature of the photos app. 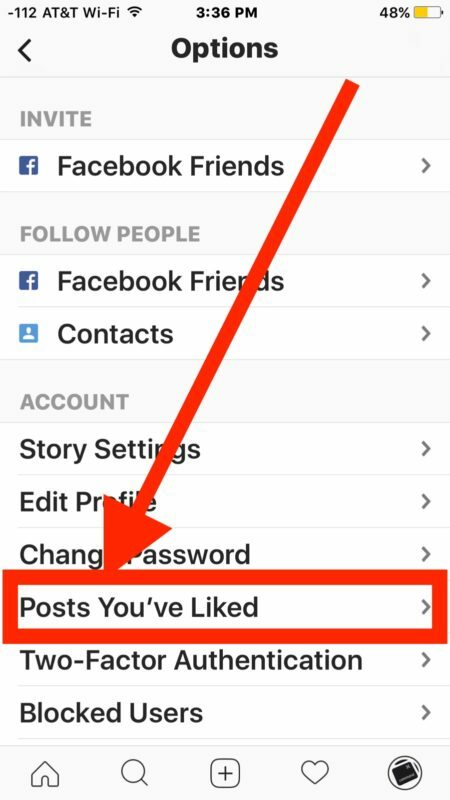 There are some other interesting options tucked into the Instagram settings, including the ability to clear Instagram search history and to add additional Instagram accounts for easy switching, check them out if you’re interested. How about seeing what other people like on Instagram? That would be interesting! My reply about how you could do this was deleted. 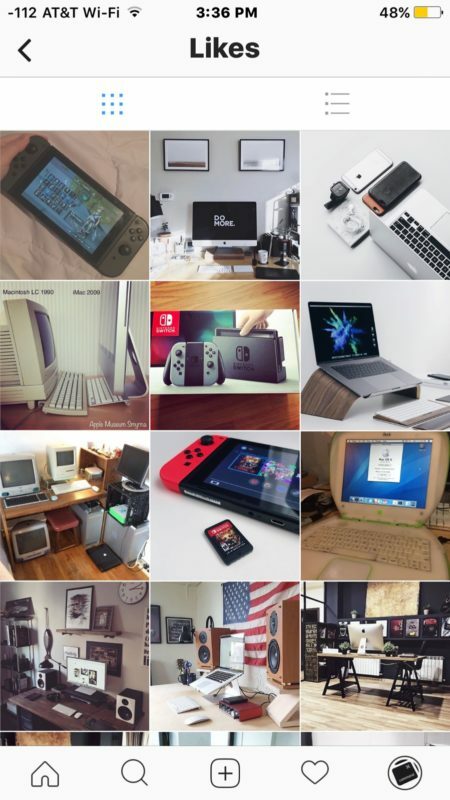 If you like an old postwould it show up under the most recent pictures you like under “posts you’ve liked” or would it be filed within the month/year the picture was actually posted? I found this about a week ago. By saving the images, does it bloat the Instagram app (make it take up more space on my phone)? If so, I would like to know how to *stop* saving my liked photos. Is that possible? I had a poke around and found nothing. This gear icon doesn’t exist anymore. Please revise. It is there, I am looking at it right now on Instagram for iPhone. The gear icon is the Instagram Options, and it is on your profile page next to the big “Edit Profile” button at the top. You must click that to see the photos you liked on Instagram. No gear like it’s shown and certainly no gear by the edit profile button. Three lines. Took me 20 minutes to find it because it’s way on the bottom and buried. Why don’t the ppl that put this up edit it? It’s no longer April 2017 and IG has changed. A LOT. This is completely useless as is. Works for everyone but you POOK, if you want to see pics you like on instagram, that is how this is done. It sounds like you are having problems reading an article and following instructions, a lot has changed since you learned how to read, sad! how see this with pc and not phone?